The Daily Rant: Where Are The Cushy Couches And Fat Laps? Where Are The Cushy Couches And Fat Laps? 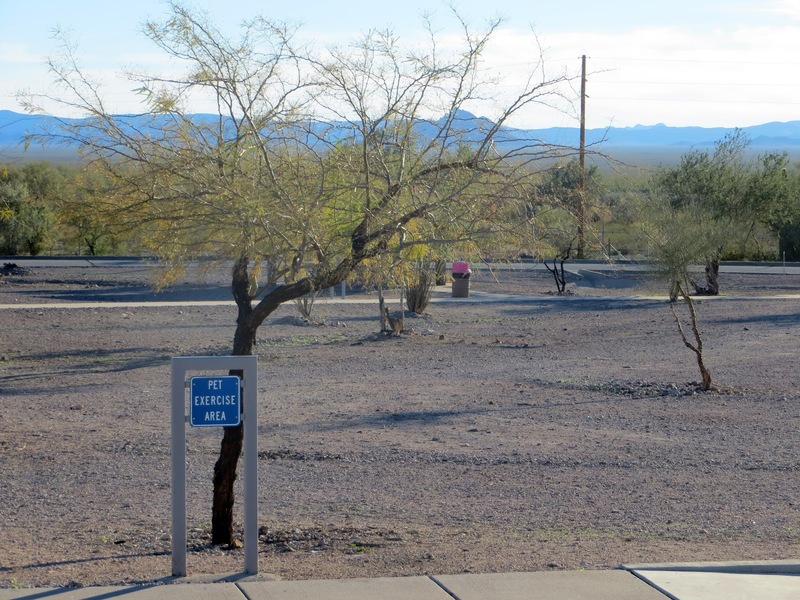 This is the Pet Exercise Area at an interstate rest area. This one happens to be in New Mexico, hence the reason there is no grass, no landscaping, no charm or beauty whatsoever. I suppose this is fine for people traveling with dogs. Or kids. But what about us cat lovers? Where do our precious little furballs get to play? I don't see a windowsill, a stuffed mouse, a piece of string, or a laser pen anywhere. Of course, many cats aren't even interested in those things. They're just looking for a cushy couch and a fat lap. They really need to visit my mother's house. Now I find the austere scene most beautiful. Particularly with the mountain range in the background. Face it, Salena, you just can't take a bad picture. And there are trucking cats, a fact which astounds me. We had the "gets her head stuck in the steering wheel" and "has to be transported in a box" cat. Belledog: Thanks for the compliment, but you're just partial to the wild, wide open West! And I love when I see a trucking cat. I want one! !